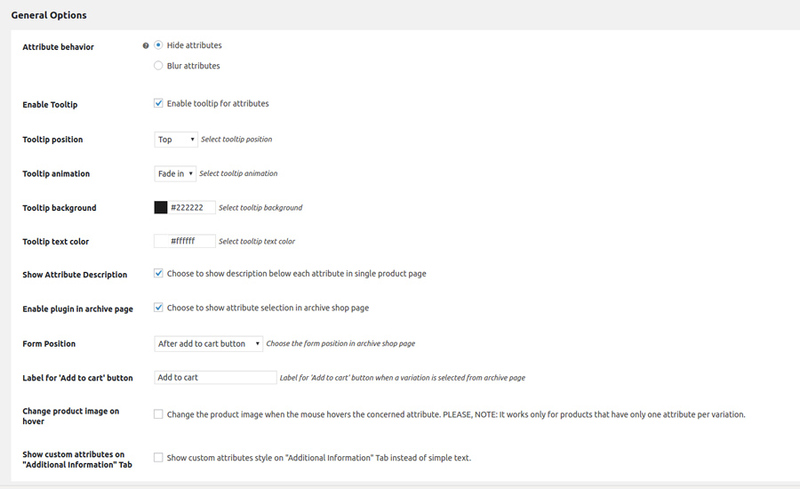 To have access to the plugin settings dashboard go to YITH Plugins -> Color and Label Variations. Attribute behavior: choose attribute style after selection. You can either hide or blur the unselected attributes. 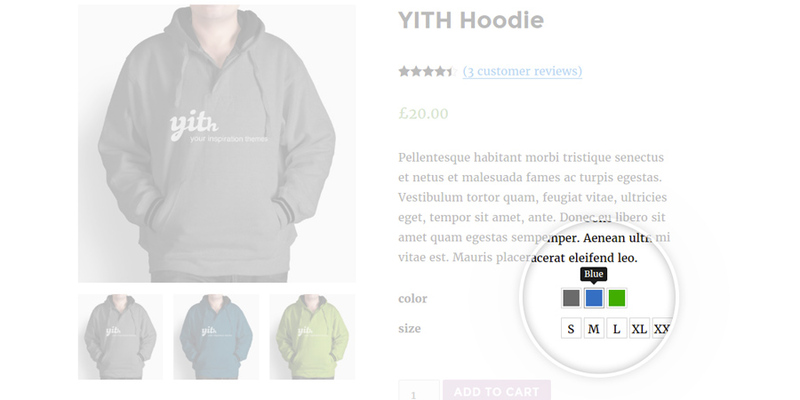 Enable Tooltip: if this option is enabled, you can add a tooltip for each attribute created. 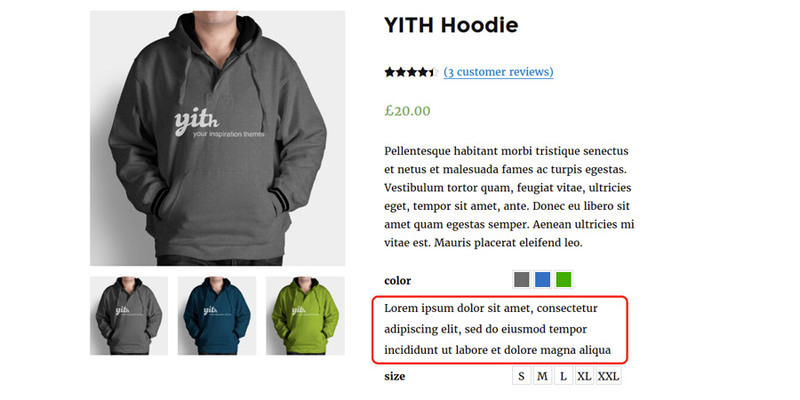 Change product image on hover: shange the product image when the mouse hovers the concerned attribute. 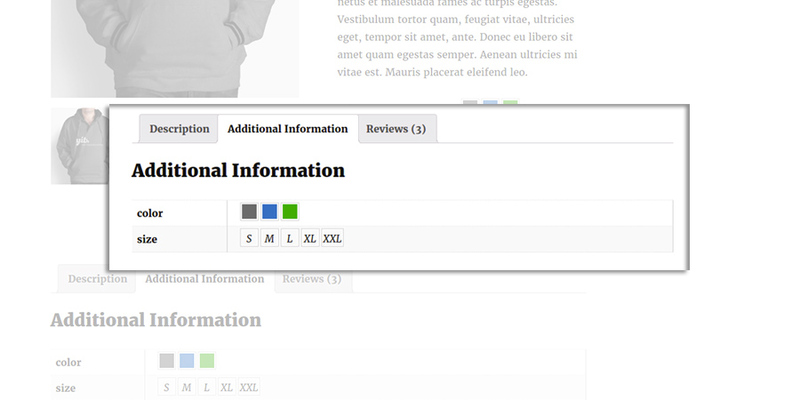 Show custom attributes on “Additional Information” Tab: show custom attributes style on “Additional Information” Tab instead of simple text.